Please join us for a lively and wide-ranging discussion on some of the hottest developments in Japanese finance, corporate governance, economic affairs and trade, including a debate about the role of Tokyo as an international financial capital. Jonathan Kindred is CEO of Morgan Stanley Japan. He is President & CEO of Morgan Stanley Japan Holdings Co., Ltd. and Morgan Stanley MUFG Securities Co., Ltd., Chairman of Mitsubishi UFJ Morgan Stanley Securities Co., Ltd. and a member of the firm’s Management Committee. Morgan Stanley offers a range of financial services in investment banking, sales & trading, research, real estate and investment management in Japan, including securities joint venture operations with Mitsubishi UFJ Financial Group. Jon joined Morgan Stanley as an analyst in New York in 1983. In 1985 he transferred to the firm’s London office where he worked as a trader in the Fixed Income Division. In 1989 he transferred to Tokyo to assume responsibility for structuring private debt placements in Japan and then rose to increasingly senior roles including Head of Structured Transactions Asia from 1993 to 2000 and Head of Fixed Income Asia from 2000 to 2006. Jon holds a B.S. degree in Economics from The Wharton School at The University of Pennsylvania where he was a Benjamin Franklin Scholar. 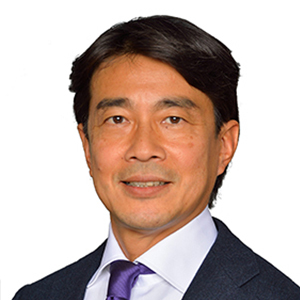 Hirofumi Hirano (Tokyo) joined KKR in 2013 and is a Member and Chief Executive Officer of KKR Japan. At KKR, he has been involved with investments including Panasonic Healthcare, Pioneer DJ, Calsonic Kansei, Hitachi Koki and Hitachi Kokusai Electric. He currently serves on the board of directors of PHC (former Panasonic Healthcare), Pioneer DJ, Calsonic Kansei and Koki Holdings (former Hitachi Koki). Prior to joining KKR, Mr. Hirano worked at AlixPartners as Japan representative and head of financial service in Asia. From 1999 to 2006, Mr. Hirano led the principal investment arm of Nikko Cordial Group (now known as SMBC Nikko Securities) and became Chairman of Nikko Principal Investments. Mr. Hirano played a significant role in investments such as Tower Records Japan, Nikko Asset Management, Bell System 24, Seibu Railways and Styling Life Holdings (Sony’s retail business group) where he served as board member for these companies. Mr. Hirano graduated from Keio University and holds an MBA from University of Chicago Booth School of Business. Yuko started her career at Bank of Tokyo, and in 1988 joined McKinsey & Company in Tokyo, where she served a wide range of major Japanese and foreign financial institutions. She became Senior Expert in 2001, after spending four years in Paris office. She has been Professor at Waseda since 2004. She currently works as independent director to Mitsubishi UFJ Financial Group (2013- )　where she is a chairperson of risk committee. She is also an independent audit & supervisory board member of Tokyo Marine Holdings (2006-) and a Trustee Director of Thomson Reuters Founders Company(2011-). She used to serve as independent director to Japan Exchange (2004-2014), Risona Bank (2006-2011), Monex Securities (2006-2013), Yamaha Motor (2009-2013 ) and Ito-chu trading company(2011-2013 ). She also served as advisory board member of Toyota financial company and a major airline company. She has significant expertise in macro-economic and governance issues and has served on a number of Japanese government committees. Recently she was appointed as Member of Public Safety Commission, supervisor of National Police Agency. In the past, for the administration of Prime Minister Koizumi, she joined a committee mandated to lead its major privatization project, as well as worked as advisor to Financial Services Minister Takenaka. Other major appointments include; member for pension reform group in the first Abe Cabinet; member of the committee under Council on Economic and Fiscal Policy. Yuko is an active writer on Japan’s financial sector and overall economy. 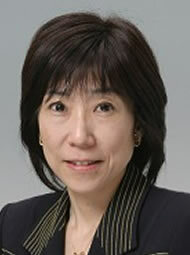 The themes of her publication include reform policy for Japan and banking management. Yuko holds a BA degree in social psychology from University of Tokyo, and a Master degree in development economics from Oxford University (St .John’s College). She is married with two sons. 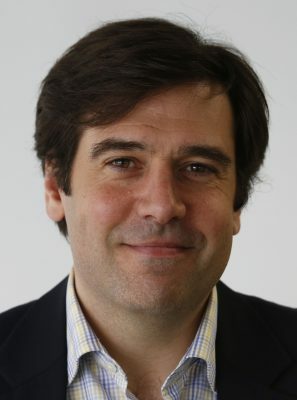 Rob Cox helped found Breakingviews.com in 2000 in London. From 2004 he spearheaded the publication's expansion in the United States and edited daily Breakingviews columns in the New York Times and Wall Street Journal. Rob has worked as a financial journalist in London, Milan, New York, Washington, Chicago and Tokyo. Rob was named Global Editor of Breakingviews in December 2012, three years after it was acquired by Thomson Reuters. Rob frequently appears on CNBC and has written op-eds on a variety of subjects for the New York Times, Wall Street Journal, BuzzFeed, USA Today, The Globe and Mail, Los Angeles Times, San Francisco Chronicle, la Repubblica, Sunday Telegraph and other publications. Rob graduated from Columbia University's Journalism School and the University of Vermont, which gave him its Alumni Achievement Award in 2014 for his work on gun violence prevention. After the shooting in 2012 at Sandy Hook Elementary School in his hometown of Newtown, Connecticut, Rob co-founded Sandy Hook Promise with fellow members of the community and some of the victims' families. In his spare time, Rob plays ice hockey, runs slowly and skis aggressively. By submitting your details, you are agreeing to receive occasional communications about Refinitiv resources, events, products, or services. You also acknowledge that you have read and understood our Privacy Statement.By submitting your details, you are acknowledging that you have read and understood our Privacy Statement.